Video-telling suffered quite a blow by Whatsapp. Snapchat, king of social networks in 2016, takes over Instagram and then Facebook. Only Whatsapp stops the attack and defends the textual status with steel shields. It looks like a medieval battle, which it sort of is, with one exception: there are digital communication tools for fighting, instead of cruel swords. Whatsapp’s idea was to replace the traditional “status” with a mini video. This goes hand in hand with what is happening on Facebook, where STORIES made their debut. Zuckerberg decided to integrate the communication of millions of people by allowing to share mini videos. The idea is not that original, and it comes in the wake of Snapchat’s success, where videos run the place. 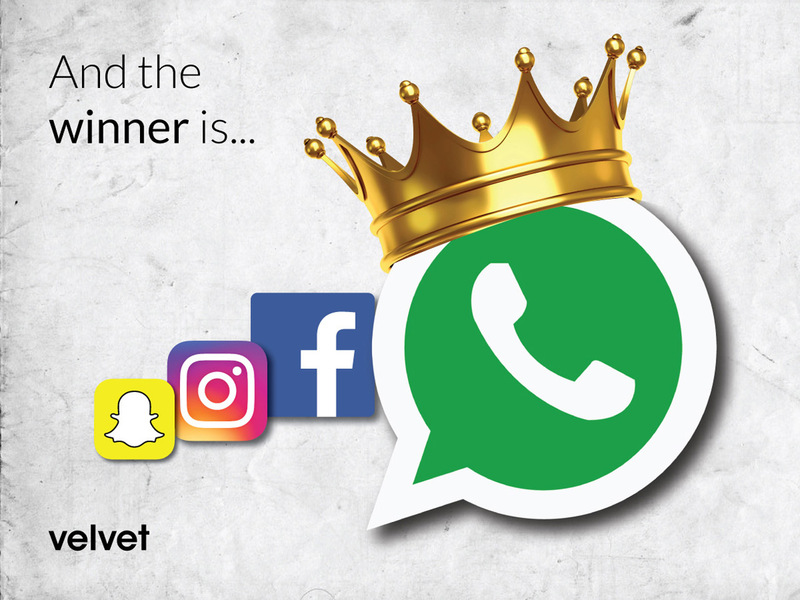 Whatsapp follows the social network footsteps, and in February it offers the video status. As in any decent story, there's a moral! If it were a story, it might be worthy to focus on the lesson. Learn to replicate.